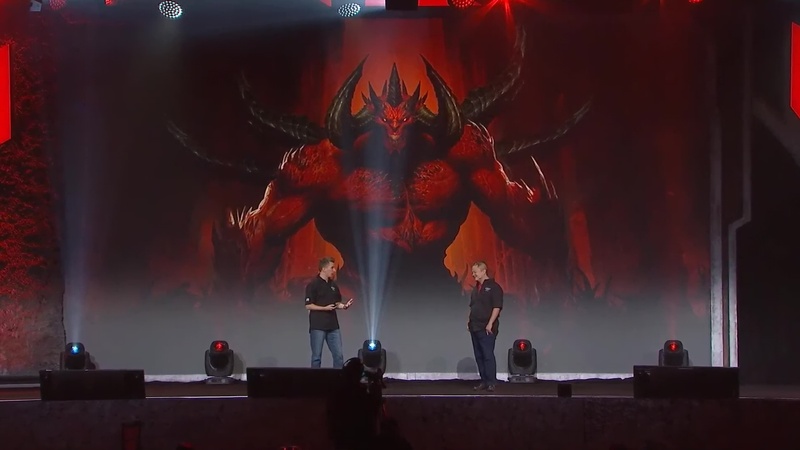 Narrator: Welcome to Diablo World and Q&A. Wyatt: Hello, BlizzCon. Welcome to the Diablo Immortal World and Q&A panel. 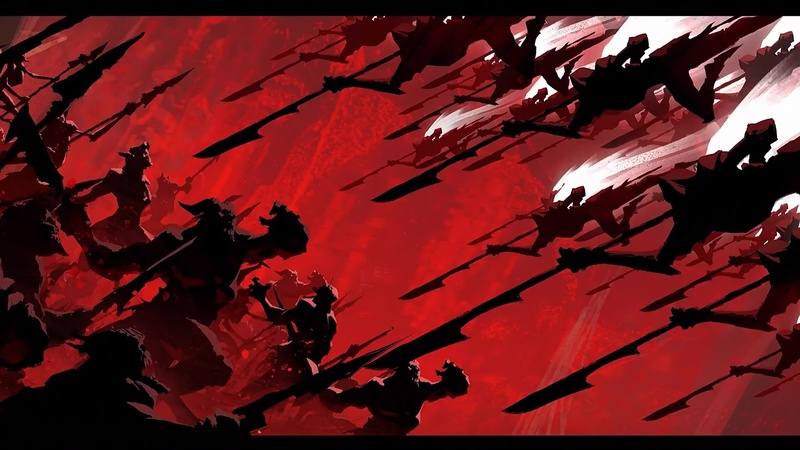 My name is Wyatt Cheng, I’m the Lead Designer on Diablo Immortal, and I’m joined by my good friend, Matthew Berger (senior designer on Diablo Immortal). Now before we get started, I have a personal message I’d like to share with all of you. We love our community, and our Diablo community is a very passionate one… very passionate one; and we want to say that we hear you; and we have multiple projects, Diablo projects being worked on by multiple teams. 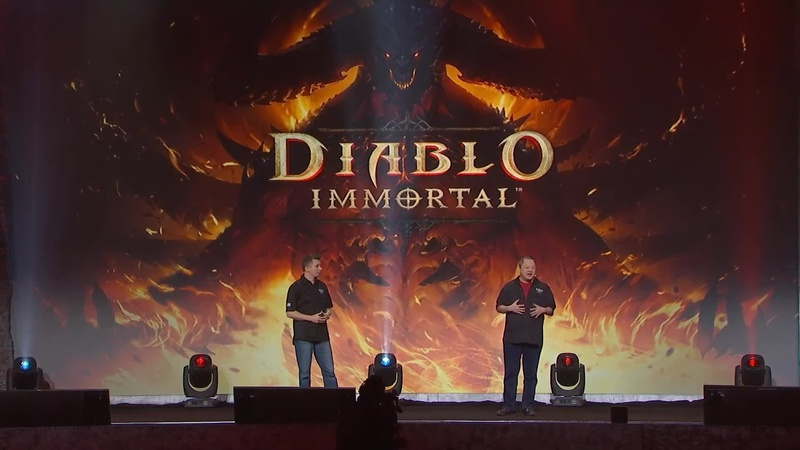 Diablo Immortal is one of those projects we’re very excited about; but there are others. 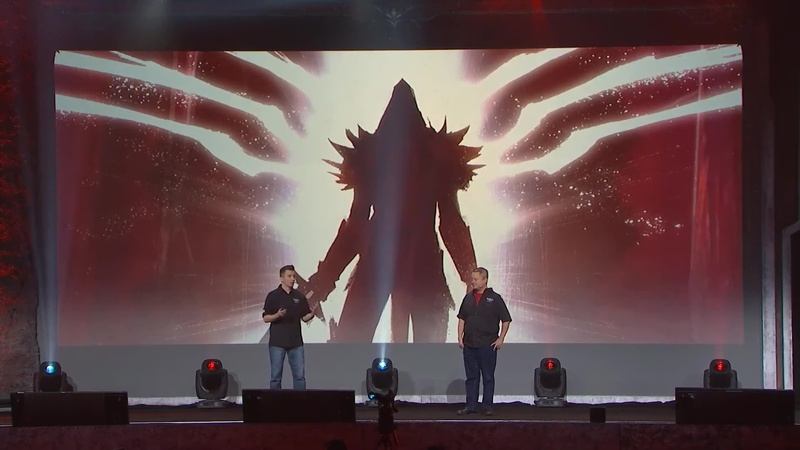 Wyatt: With that said, let’s go ahead and get started with the Diablo Immortal panel. Here’s what it’s going to look like today. 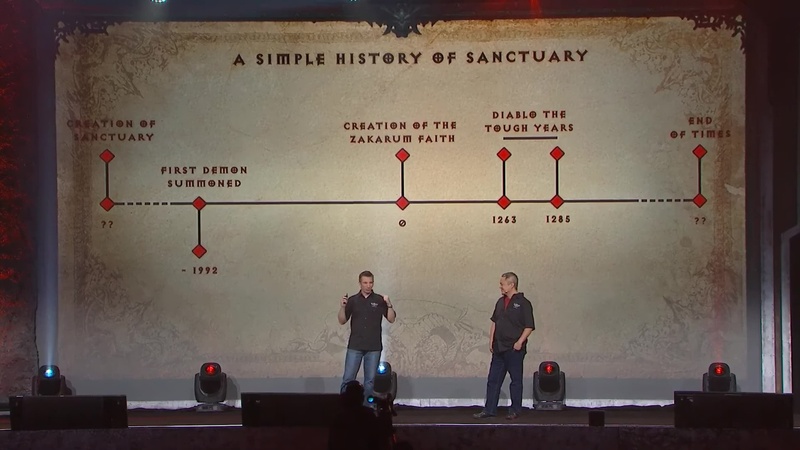 We’re going to start by exploring the history and events leading up to Diablo Immortal. Matthew is going to walk us through the history of events, and some of the characters, the heroes, the villains. We’ll take a deeper look at some of the zones, the public shared zones and the Instance Dungeons that we looked at yesterday. And we’ll end, we’ll wrap it up with a look at the six character classes with a sneak peek at some skills on all six classes. So, to take us on our mystical magical history lesson… Matthew Berger. Matt: Why are you so far from me? You just, don’t you want to participate? Wyatt: I don’t want to crowd the space. Matt: Alright, so before I start. 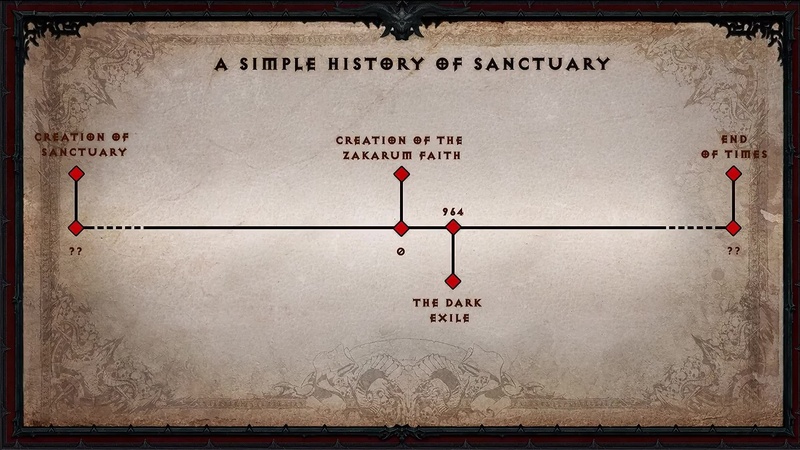 For some of you, I know this is going to be well-known lore; but we are welcoming new adventures into Sanctuary and it’s important for them to know the history. And it’s also important to keep in mind that you never know who’s going to turn up in Diablo Immortal. 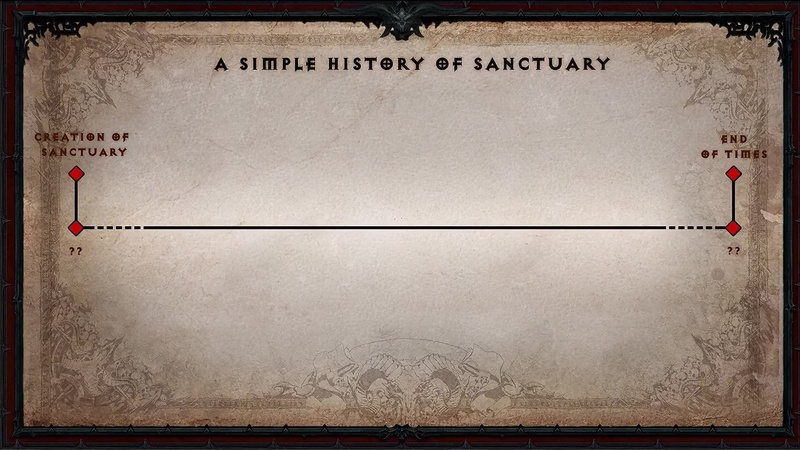 So with that said, I’m going to start with a timeline… simple history of Sanctuary. On the one end, the creation of Sanctuary. We don’t know when exactly, but we do know exactly how it happened, and we’ll get back to that. At the opposite end, we have the End of Times which in Sanctuary seems to be always just around the corner. Thankfully, you guys have managed to push this back a few times. 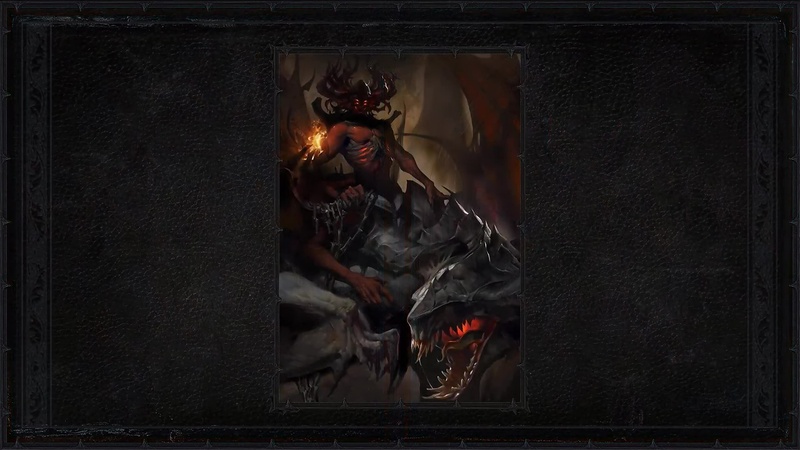 Alright, so we’re going to anchor the history of Diablo. Year Zero, broadly speaking is the creation of the Zakarum faith, one of the major religions in Sanctuary and the cause of a lot of problems. 964… a very important year. This is the Dark Exile. 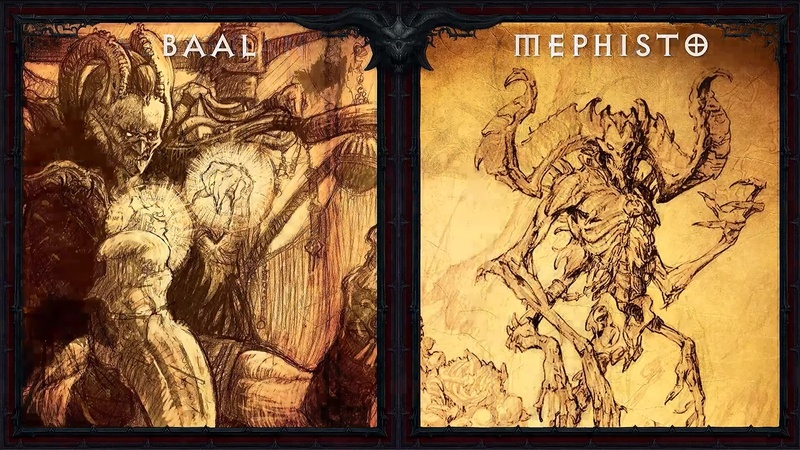 This is when Baal, Diablo and Mephisto were toppled from their thrones in Hell; and were exiled to Sanctuary. This led the Archangel Tyrael to create the Horadrim in 1004. The Horadrim are a secret society dedicated to hunting down the Prime Evils and destroying them. Alright, the next date is something you guys know very wel. It is Diablo I (year 1263), followed very quickly by Diablo II: Lord of Destruction. 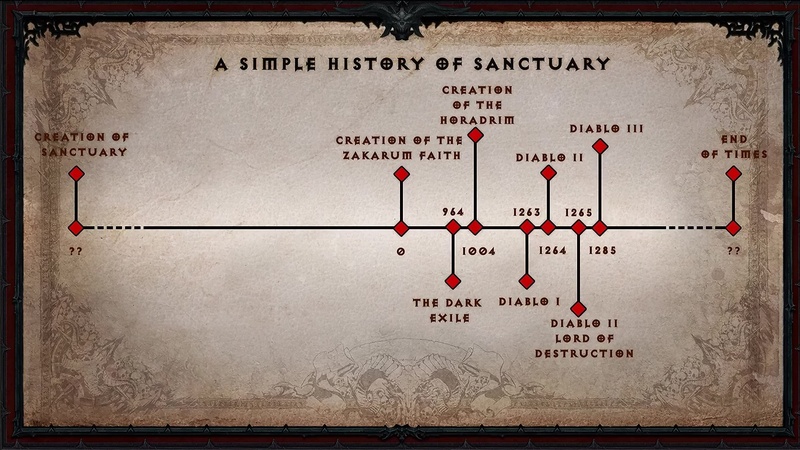 If you add Diablo III in 1285, you have 22 really tough years in the history of Sanctuary. Okay, so I’m going to blow up the timeline a little bit, here we go. 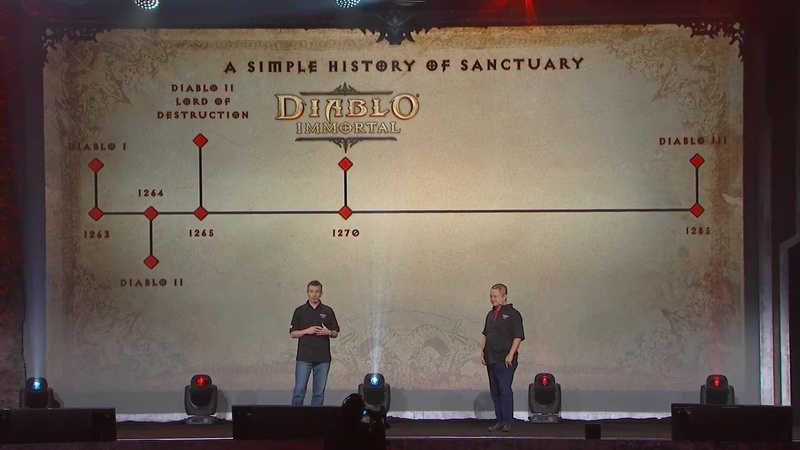 So, Diablo Immortal happens in 1270. It happens 5 years after the end of Lord of Destruction. 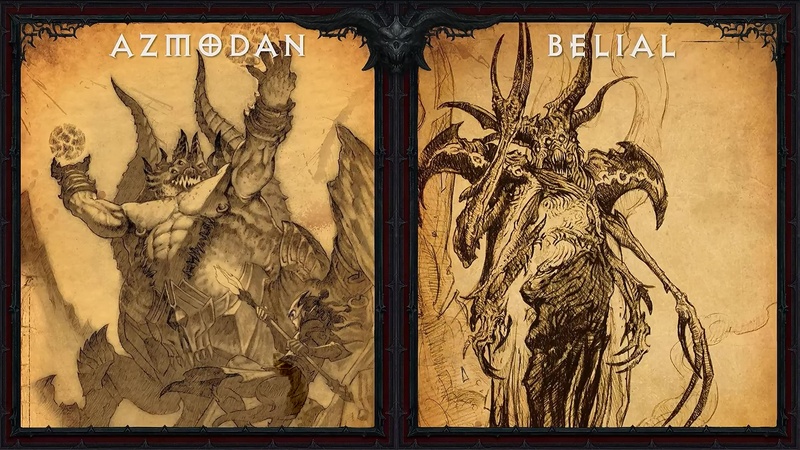 15 years before the beginning of Diablo III. 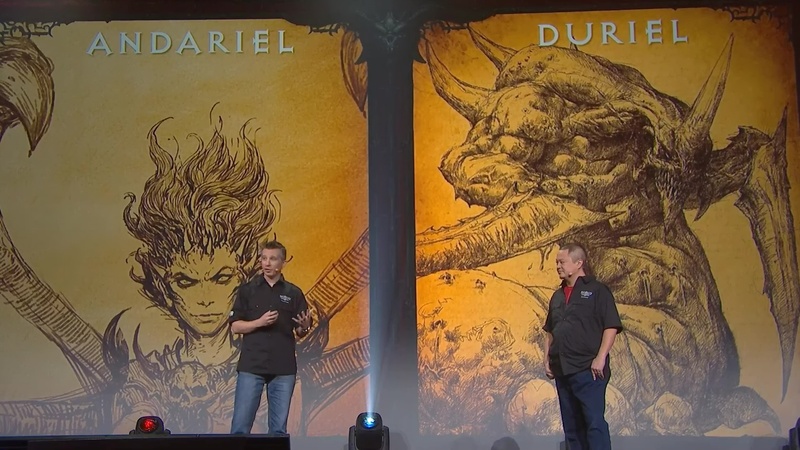 But the genesis for Diablo Immortal goes way back. It goes back to the very beginning. It goes back to before the creation of Sanctuary. It goes back to the Eternal Conflict. The war between the High Heavens and the Burning Hells. On the one side, you have the Greater Evils who lead the Legion of the Burning Hells. Facing them, you have the Angiris Council leading the Heavenly Hosts. They oppose Hell. They don’t defend humanity. That’s not the same thing. So we’re going to have a look first at the Greater Evils. We have Andariel and Duriel, perverse siblings who like nothing more than the suffering of their victims, be it physical or mental. Azmodan. Belial. Never content with their place in Hell. Always reaching for more, always wanting more power. Baal. Mephisto. The heavy hitters. These guys have been a plague on humanity for hundreds of years. They have been trying to conquer Sanctuary using every trick in the book: guile force, corruption; and they are never more terrifying than when they bring with them the lord of terror himself: Diablo. Wyatt: Hey! Matthew, there’s no caption on Diablo. Matt: There’s a reason there’s no caption on this slide, Wyatt. There’s a reason his name is on the game. 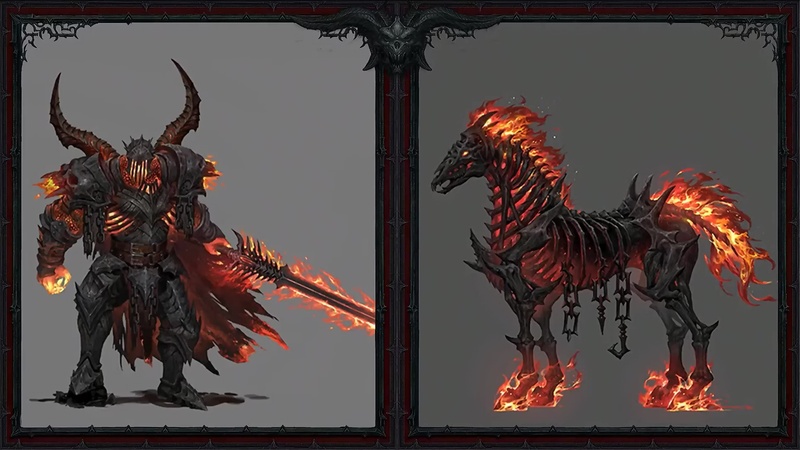 Everybody knows Diablo… hundreds of players, thousands of players, millions of players have fallen before him; and yet stood up again to face him. Now, opposing the Burning Hells: The Angiris Council. I’m not going to go through all of them; but there were a few notable members. Imperious, Archangel of valor. The current leader of the council. Proud, unbending Imperious has maintained a strict order in Heaven. Malthael, Archangel of Wisdom. 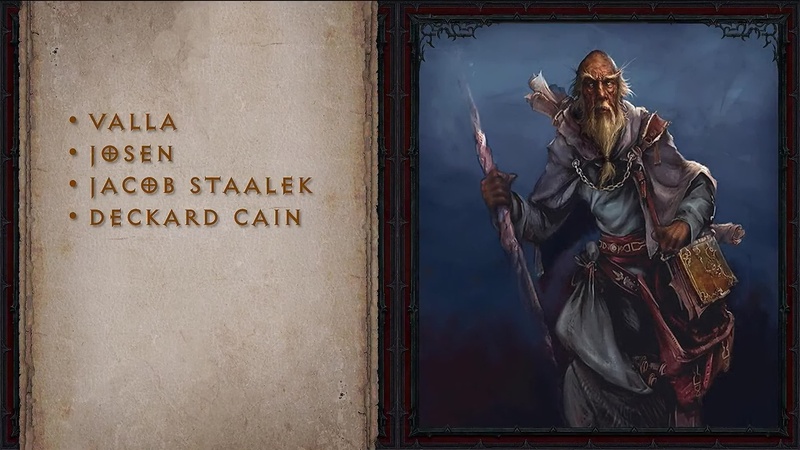 The original leader of the Council; and we know having played Reaper of Souls that he takes down a very specific path, he goes down another route, he becomes the Angel of Death… which, you know, leads me to believe he might not have been the right pick for Wisdom. 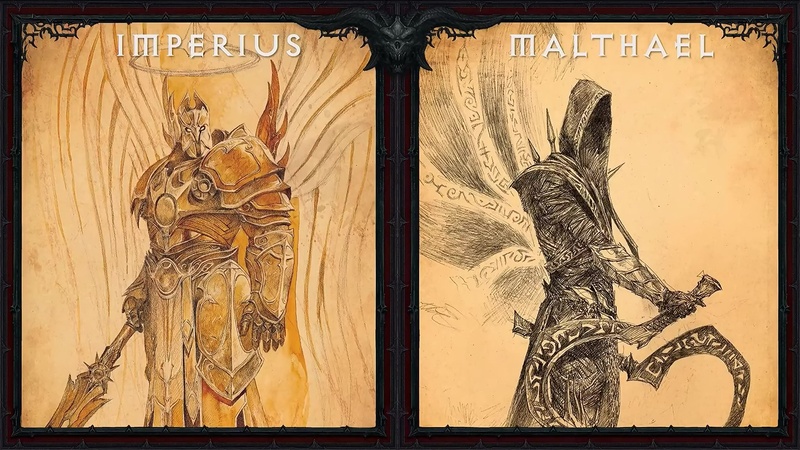 And then there is Tyrael, Archangel of Justice, our greatest champion– after you, guys. Sanctuary’s greatest defender. Now, Heaven and Hell fought countless battles, and nothing was more contested during their war, during this Eternal Conflict than the Worldstone. Housed within the Fortress of Pandemonium. This object of immense power allowed whoever controlled it to reshape reality. It passed hands constantly between the two sides as the battles had then flowed. Until one day, a pair of renegade lovers who wanted out of the Eternal Conflict stole the Worldstone. Lilith (the demon daughter of Mephisto) and the Angel Inarius, they stole the Worldstone and they used it to create their Eden. They used it to create Sanctuary. And on Sanctuary, they came together along with other like-minded demons and angels and from their union came humanity. The humans of Sanctuary are the descendants of angels and demons. Lilith and Inarius used the Worldstone to hide Sanctuary from both Heaven and Hell. And for a time, on this Eden, there was peace. There was peace on Sanctuary. You cannot fight over something you don’t know exists. Obviously, this changed. So what changed? Well, we can go back for a timeline. Zakarum faith: Year Zero. 1263, 1258, life expectancy in Sanctuary, not very high. Matt: Yeah! It’s tough years, man. It’s tough. So what changed? Well, about 2000 years before the creation of the Zakarum faith, an enterprising wizard decided to try and summon a demon into Sanctuary for the first time; and good on him, he did it! Wyatt: What could go wrong? Wyatt: Yeah! Just to summon a demon. Matt: And for the first time, Heaven and Hell, all of a sudden discover Sanctuary. They realize it exists. There is a place, and there are people on this place; and they start fighting. It is one demonic invasion after the other, culminating in 1265 with Baal trying to corrupt the Worldstone using the Shard of Destruction. Trying! But many of you know that that is the wrong word. Baal was actually successful. He was able to do it; and in that moment there was no choice. Tyrael Archangel of Justice grabbed his sword, and shattered the Worldstone, sacrificing himself in the process. So why don’t we have a look at this iconic moment from Diablo’s history, from Diablo II: Lord of Destruction. The destruction of the Worldstone. Matt: So there you have it. An iconic moment in the history of Diablo. 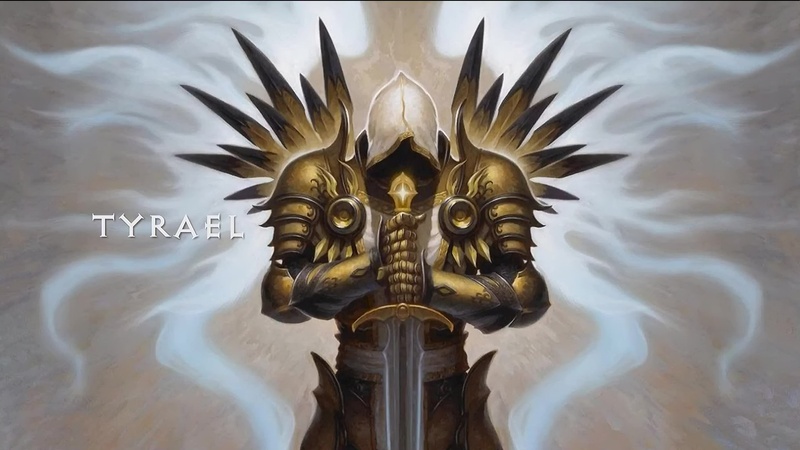 Tyrael, the Archangel of Justice, sacrificing himself for humanity. Once more, defending us. And up until this point, we knew that the Worldstone had been destroyed, he had saved us. But with Diablo Immortal, what we discover is that the Worldstone was not completely destroyed. Some pieces survived. They’re powerful, they’re corrupt, and if they fell into the wrong hands, who knows what could happen? 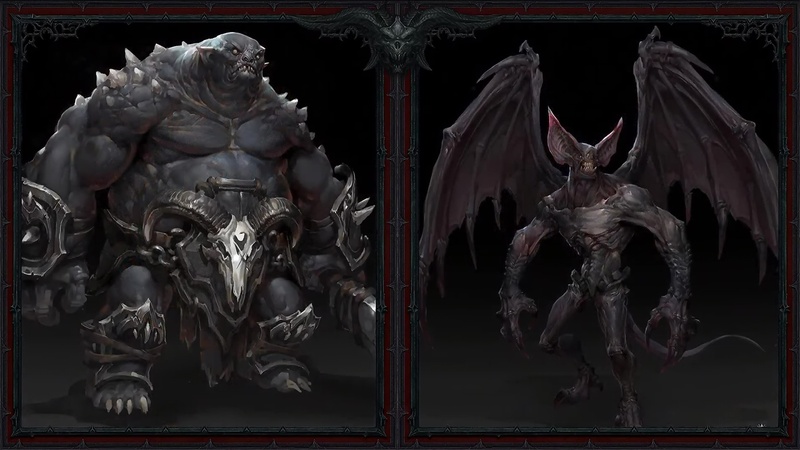 So, we’re going to look at a few of those hands, and give a sneak peek at some of the foes and allies you’ll be seeing in Diablo Immortal. So, first we have Purus the Decimator. He was waiting for you at the end of the demo. He’s still there, if you haven’t yet tried it. 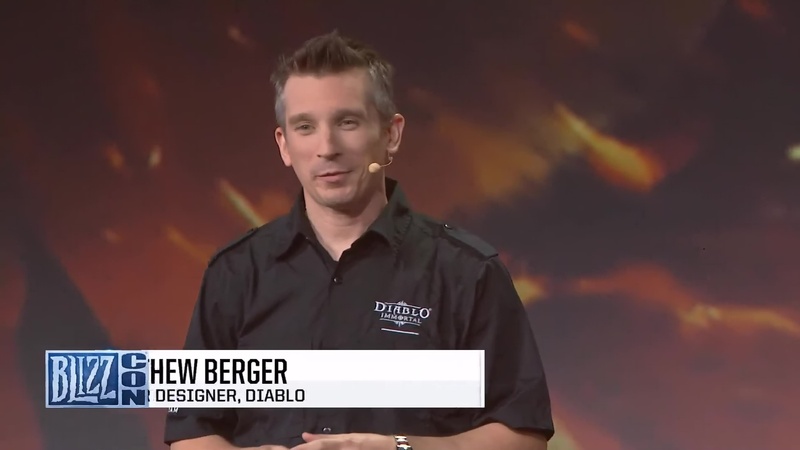 But for those of you watching this on the Virtual Ticket, or at home, he will be waiting for you in Diablo immortal. We want to bring back old favorites, and we want to introduce new creatures for you to face. Each of them is going to try and stop you from saving Sanctuary. Each of them is going to try and forward the cause of evil, of the demons of Hell; and none more so than this guy: Skarn, the Herald of Terror. 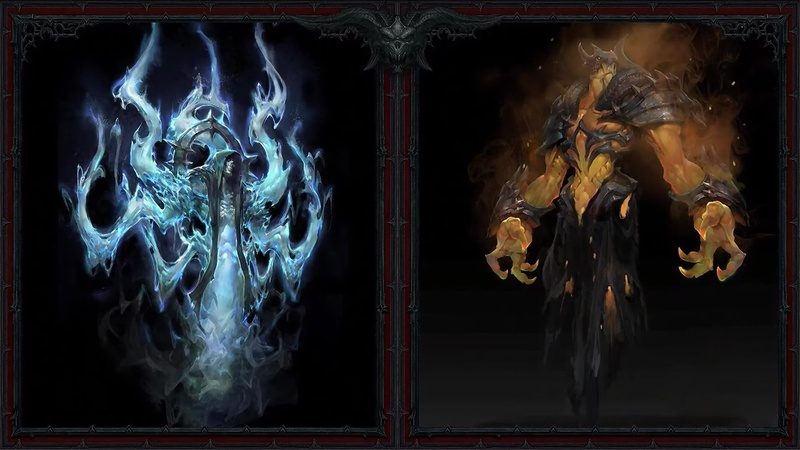 Diablo’s Lieutenant, whose sole purpose is to bring back his master to life. 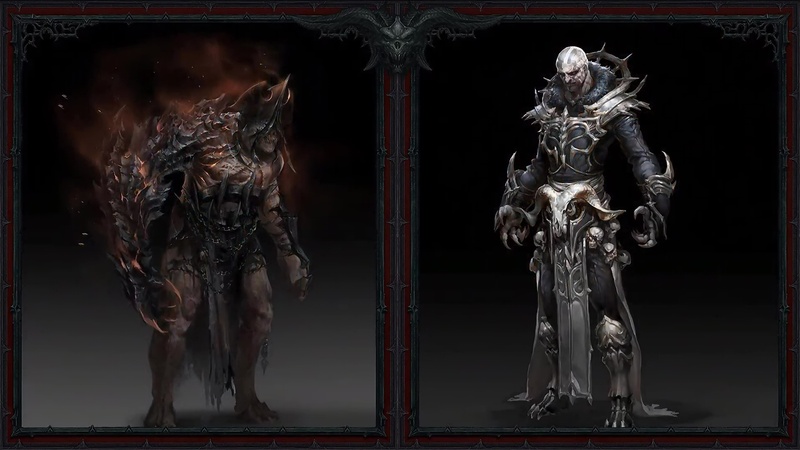 Now, this is a Diablo game. You’re not alone. You have allies. Some of these people will need your help. Some of them will help you. 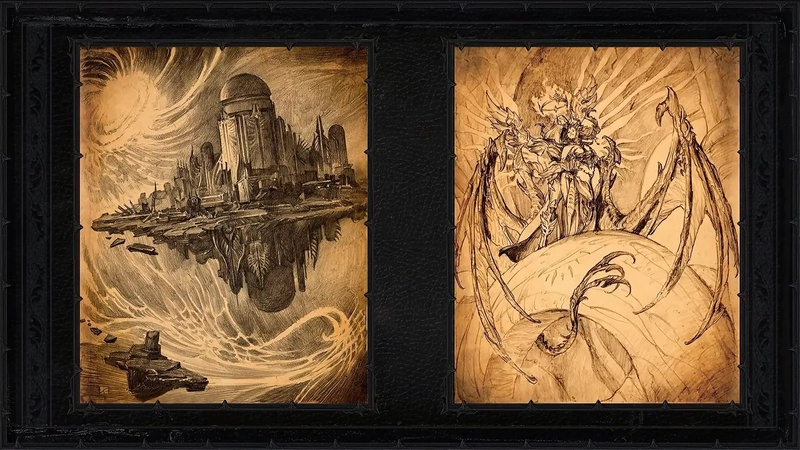 There is Valla (The Demon Hunter), her master Josen, Jacob Staalek (who’s not well known to many, but who currently holds El’druin) while Tyrael is dead. And then, of course, Deckard Cai — the sage who has accompanied us on so many adventures, and who once again will stand by our side as we face the hordes of Hell. Now, I’m going to pass it on to Wyatt, who’s going to take us through a few more of the zones, into the greater depths, and then the classes.